A Medium Size, Anciently Aged And Visibly Use Sharpened, Marshall Point That Exhibits Surface Coloration Aging And Overall Stone Patination, Aging In The Corner Notches, Visible Aged Surface Caliche Deposits, Correct Blade Sharpening Use Reduction, Visible Opposite Side Extended Ground Aging, Correct Early Style Blade Flaking, Correct Material And Manufacture For The Area Found. Ex-Dan Peeler Collection. 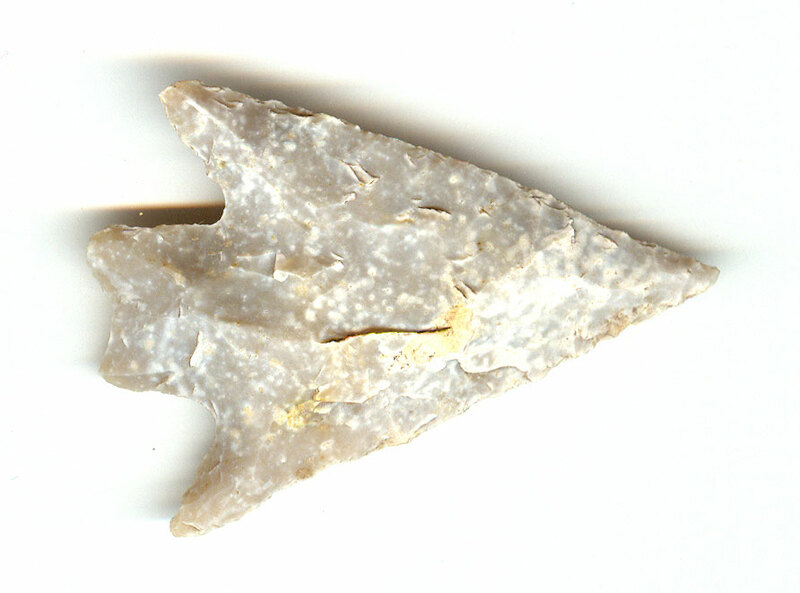 This Example Somewhat Resembles A Comanche Style Pedernales Point Being Of The Same Age And Often Found Together. The Opposite Side Is Very Close to The Original Color. Includes A Ken Partain Certificate Of Authenticity.